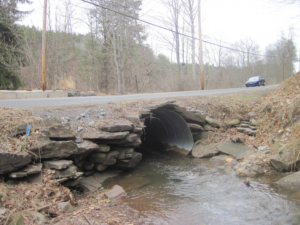 The Project included the removal of 41’ long x 6’-6” wide x 4’-6” high CMP Arch Culvert and replacing it with a 50’ long x 16’ wide x 6’ high aluminum box culvert on Kaiser Hollow Road over Resser Run in Upper Fairfield Township. 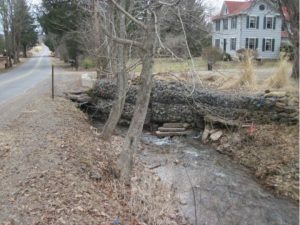 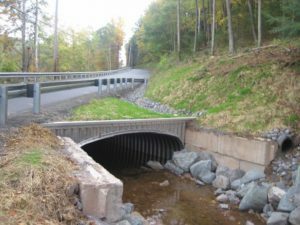 This project site required the excavation, removal, and replacement of the existing structure, stream channel improvements, site restoration, placement of rock and fill, and roadway restoration. stabilization of the stream banks with precast concrete blocks and rip-rap. 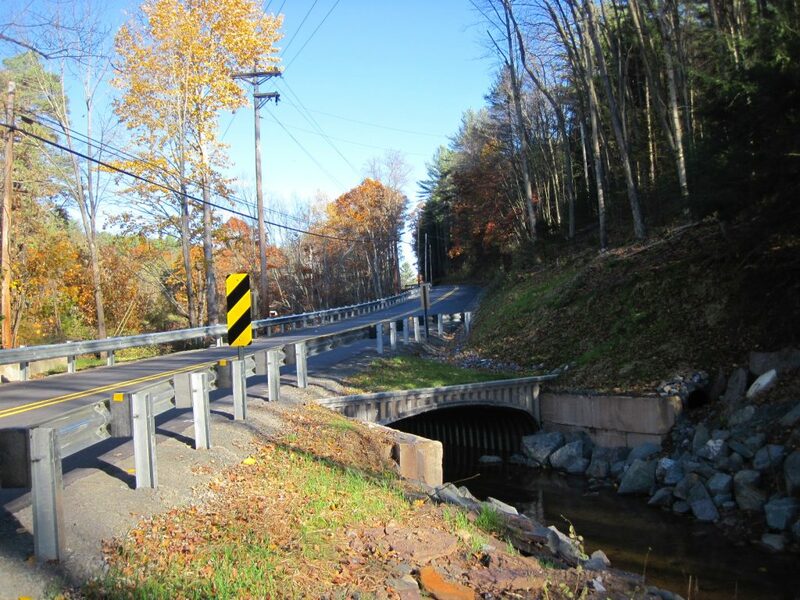 Following reconstruction of this culvert and subsequent stream stabilization, our client Upper Fairfield Township was named an honorable mention Bridge Winner of the PSATS 34th Annual Road and Bridge Safety Improvement Awards. 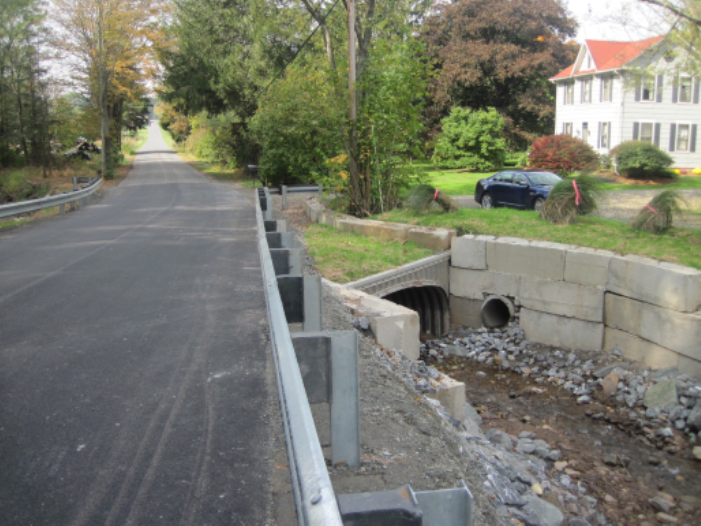 The project was constructed by Masters Excavating LLC of Lock Haven, PA.